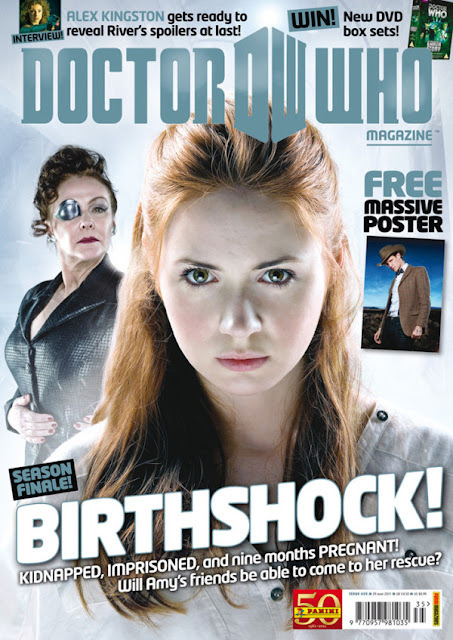 Doctor Who Magazine have revealed the cover of issue #435, themed on the seventh episode of Series 6 called ‘A Good Man Goes To War’, or more specifically, focussing on what has happened to Amy and what her current situation is. As you’ll know from ‘The Almost People’ cliffhanger, Amy is in a bit of a pickle under Madame Kovarian in what has very justifiably by Steven Moffat been described as a “game-changing” twist, which I certainly have not seen to be theorised or guessed by anybody beforehand. Doctor Who Magazine #435 is available as of next Thursday 2nd June for £4.50 in W.H.Smith, selected Tesco stores and all good newsagents. What do you think? Are you going to buy this issue?